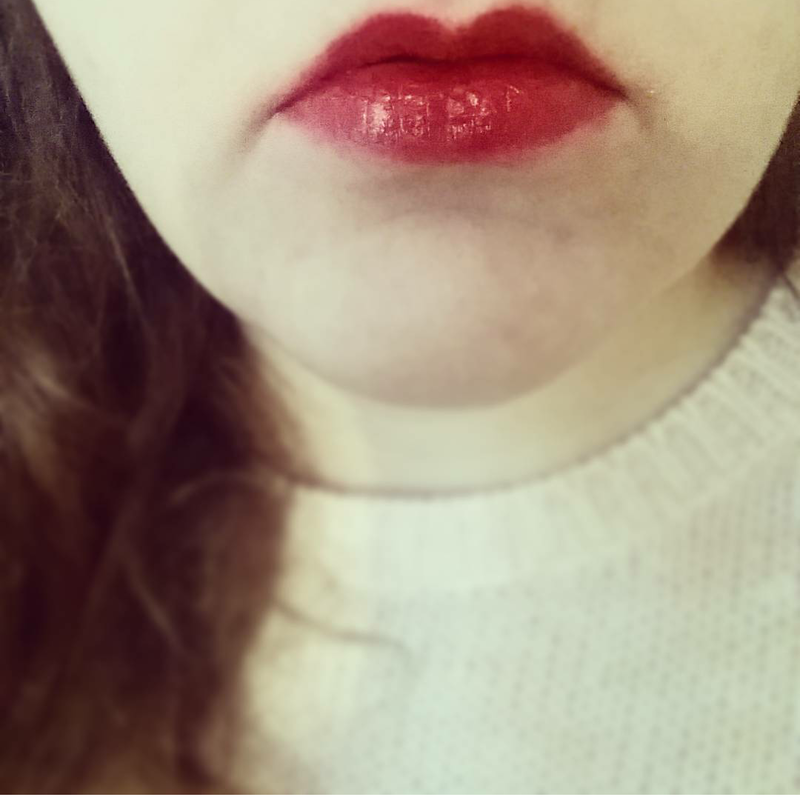 This is my fourth lipstick review so if you want to know more about why I am doing it now and for additional background that was provided in the first post then click here otherwise I hope you enjoy. A lipstick that promises to keep your lips moist and in a dark red shade is basically everything a girl needs for a basic daily autumn/winter make-up look. I remember getting this product a while ago and I got it because I wanted a ‘safe’ brand. Safe in the sense that I know a lot about it, it seems successful and people I know buy it. 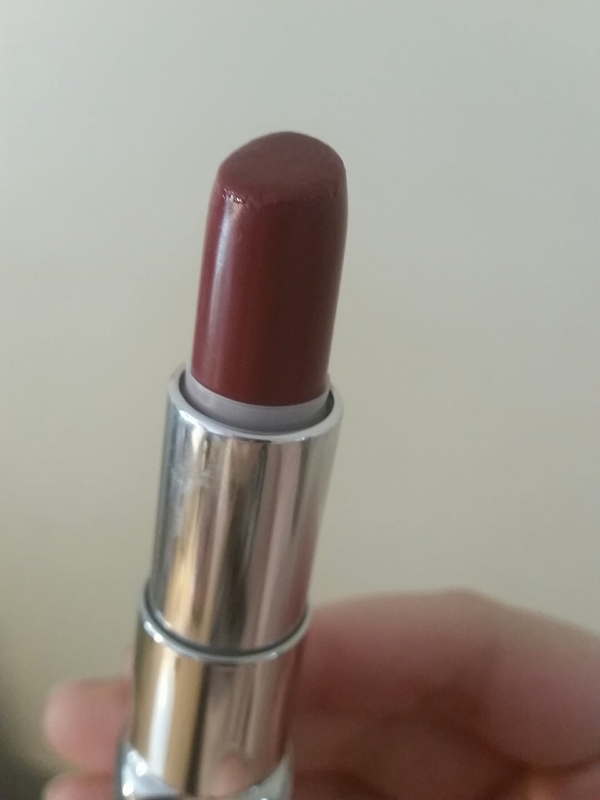 I thought that if I needed a lipstick like the one they advertised I could’t go far wrong. Besides £6 didn’t seem too bad at the time. But you know how sometimes you get lipsticks that are amazing and like butter but when applied they are more like melted butter? This is basically one of those lipsticks. If we were considering this product purely on how it feels to be applied it would do fantastically and it certainly helps the lips to feel full of moisture. I went to so many efforts and different methods to stop this lipstick from bleeding out. From the tissue and powder trick to putting various creams around my lips but nothing would stop it. In fact I didn’t have the time between application and the running for me to properly make an attempt to stop it. The stuff just goes everywhere. I even tried to avoid putting it to the edge of my natural lip line to see of that would work but no it just carried on going. I remember the first lipstick I had as a child. It was a bright pink and I was able to apply that better for the first time ever than I am with this. And you know what makes it worse? It’s long lasting so getting it back off your face after it has trickled there takes an age. Worst product ever. One out of five. Maybe this is just a bad batch or a bad collection compared to their usual lipsticks but I am steering well clear of anything similar for some time to come. This entry was posted in Beauty, Make Up and tagged autumn, avon, bblogger, bbloggers, Beauty, beauty blogger, beauty bloggers, beauty product, beauty regime, brand, class, classic, classic red, daily look, deep red, depression, highend, lblogger, lbloggers, Lifestyle, lifestyle blogger, lifestyle bloggers, lips, lipstick, London, lotd, love, Make Up, motd, pink, quality, red, rimmel, rimmel london, selfcare, simple, velvet, winter. Bookmark the permalink.